When Doral Arrowwood’s executive chef was named one of 10 finalists on Season 5 of The Next Food Network Star, we need a public relations strategy that leveraged this achievement to generate publicity for the resort without letting the “celebrity factor” overshadow the brand’s story. By tying the chef’s experience working at the resort to his time on the show, we were able to craft stories with broad appeal and high news value. Coordinated a Mother’s Day cookie decorating event at the Boys & Girls Club of Northern Westchester to demonstrate how the chef’s upbringing had influenced his career and cuisine. Aligned the chef with leading national culinary talent through participation in the Connecticut Forum’s ‘Food for Thought’ event. 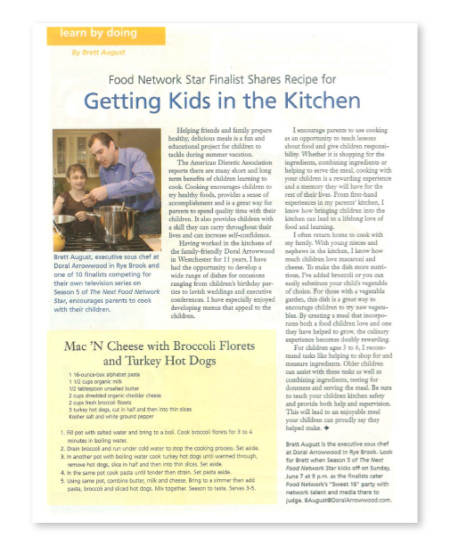 Secured 10 weekly, 5-minute segments on WFSB’s Better Connecticut, national exposure on Better TV, and feature stories in numerous print and broadcast media including WCBS880, WHUD’s Mike & Kacey In the Morning, The Journal News, Times Herald-Record, Manhattan Times, News12 Westchester and Westchester Family, among other media. 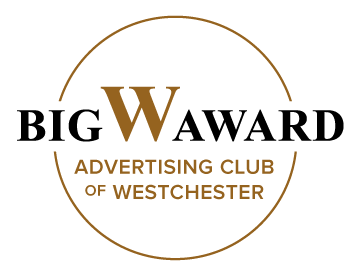 Received a Gold Big W Award from the Advertising Club of Westchester and a Gold Mercury Award from the Public Relations Society of America. It is truly a pleasure working with Co-Communications. Their talented and dynamic team not only provides valuable guidance, but also produces real, tangible results. Their knowledge, creativity and excellent follow-through capabilities all harmoniously contributed to a successful public relations and brand identity campaign for us. Because of their diligence and dedication, we have seen a surge in media placements like never before.